Weight: 121 grams, shipping calculated at checkout (more details). 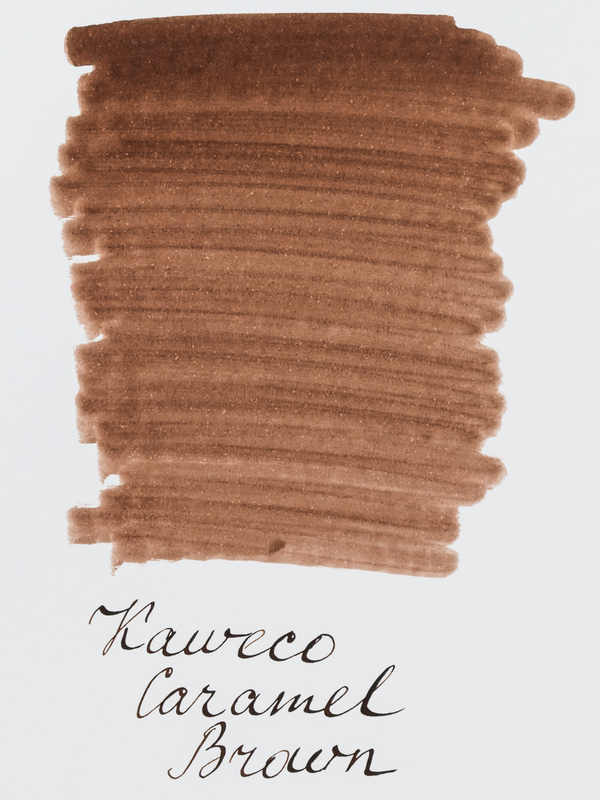 Kaweco Caramel Brown is a fountain pens ink of rich and warm shade of brown. 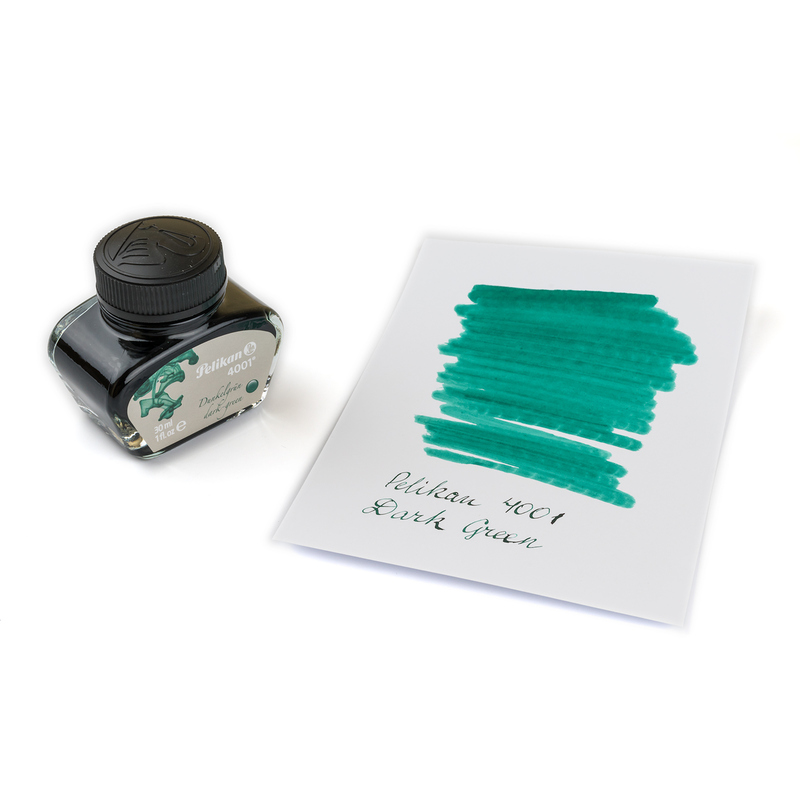 It is not too dark, but saturated, like all other modern Kaweco inks. This ink is not particularly water-resistant, but it clings to the paper quite well. If you spill a glass of water over it, you can be sure your writing won’t disappear completely. 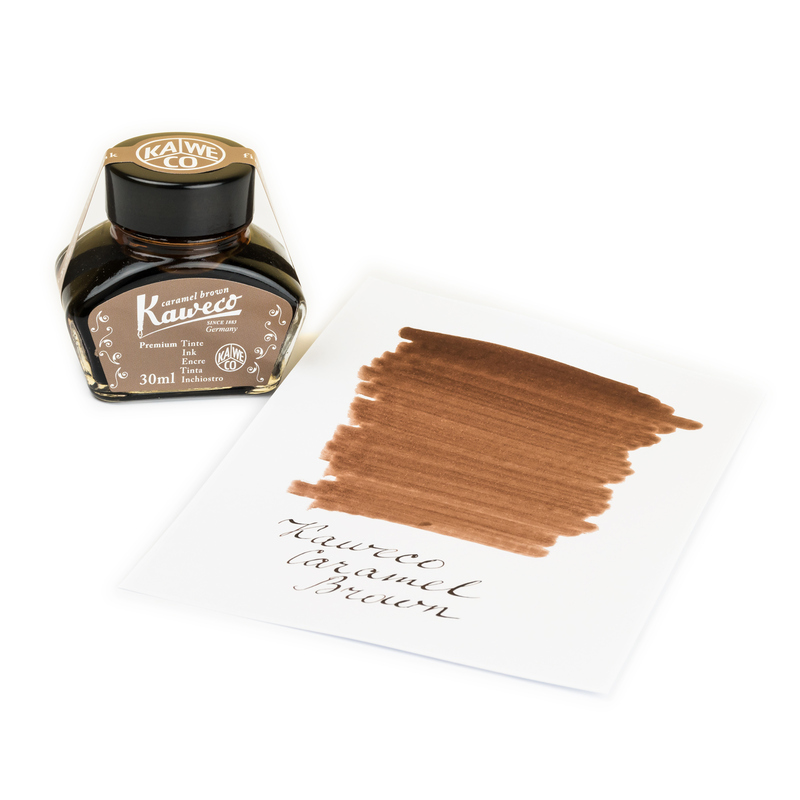 Caramel Brown is a moderately dry ink. 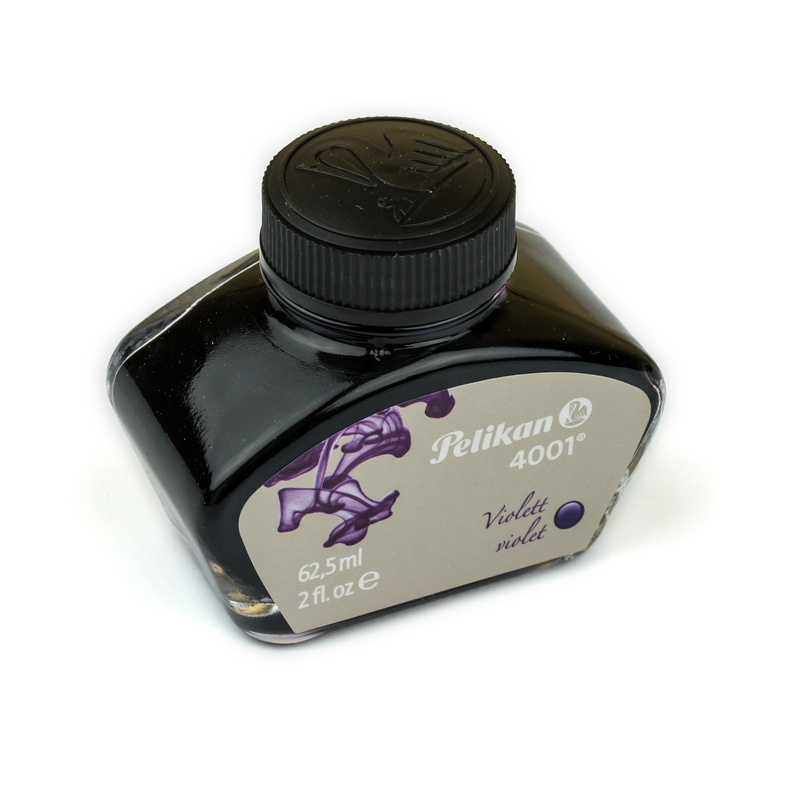 It behaves the best in the wetter pens helping to contain their over-generous ink flow. It also dries faster than average on paper. 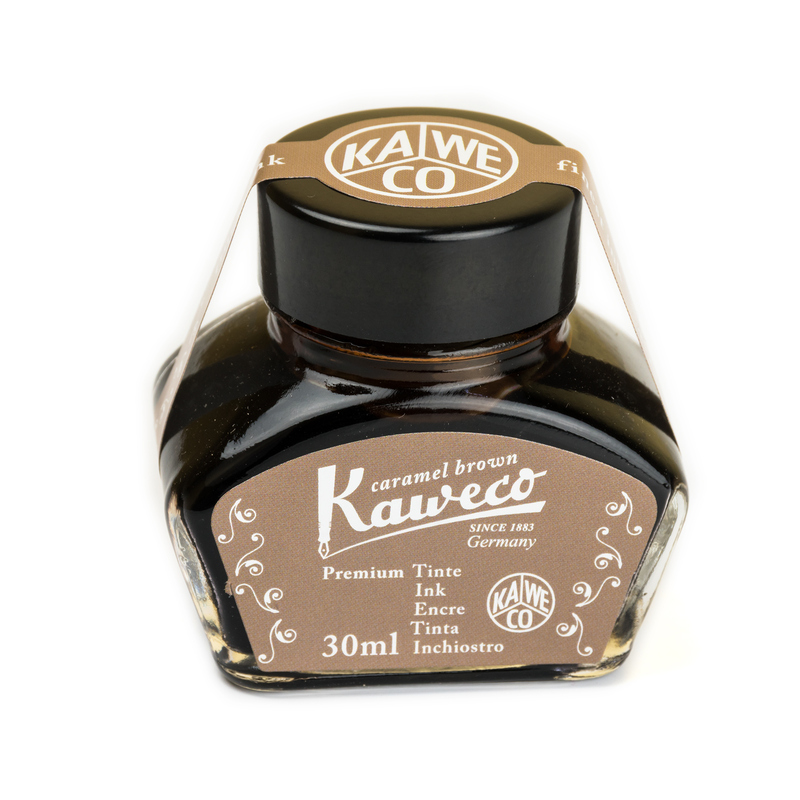 Kaweco decants this ink into handy 30ml glass bottles which could be turned on their side to help with filling when the ink level runs low. It also available as Standard International Short cartridges (pack of 6) and 2.5ml ink sample.